This gajar halwa recipe is very popular North Indian halwa recipe and made mostly during the winter season when carrots are in season. 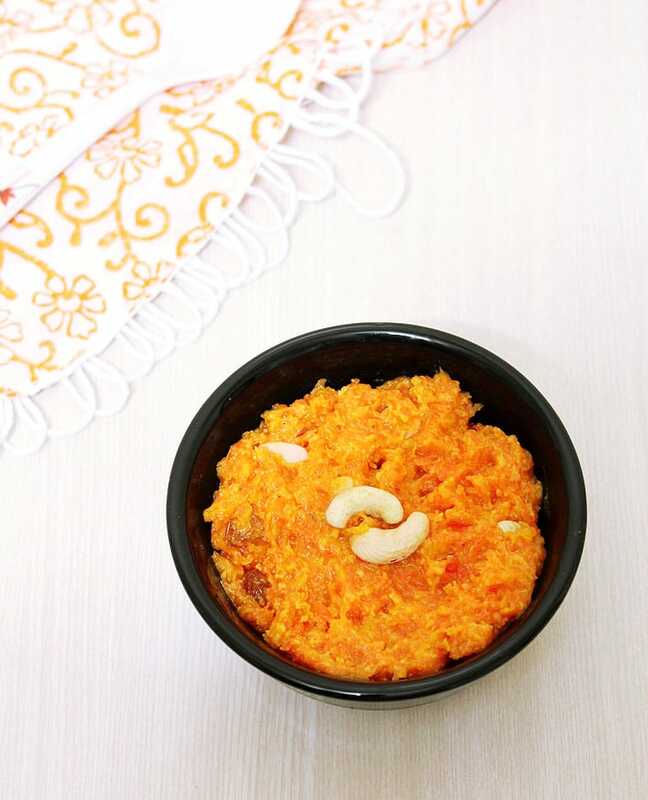 You will need 5 ingredients to make this delicious carrot halwa. In north india regions, it is known as Gajrela. My mom usually makes this gajar halwa with khoya during the wintery mornings. And we eat it in the breakfast. I know, it is weird to have it as a breakfast. But this is what we have been enjoying. A bowl of warm carrot halwa in the chilly winter morning meaning a bowl of heaven!!! 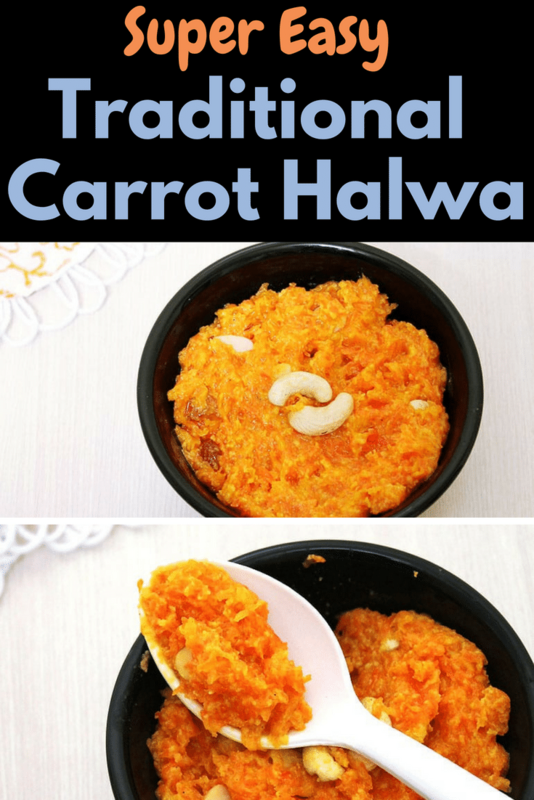 Carrot halwa is usually made during festivals like Diwali, Raksha Bandhan, Holi, Karwa chauth or any other, you just name it. It can be made on special occasions as well. I have seen this gajar halwa made with khoya in wedding menu as well. You will also need a good amount of time and strong arms. Traditionally the milk and carrot is cooked on low flame. The process of evaporating the milk slowly takes some time. Here I have made only 2 servings still took me 40 minutes. So if making a big batch then it may take around 2-3 hours. Also you need to stir the gajar halwa occasionally during the cooking process. And more frequently at the end of cooking process. You will get good arm exercise, so be ready for that. After investing this much time, muscle strength and love in making carrot halwa, the end result is super yum, rich halwa. All the efforts and time spent are totally worth it. 1) Grate the carrots using box grater. I made smaller batch, so I use the box grater. If making larger quantity then I would suggest using food processor for grating. Otherwise you will get good arm exercise. 2) Heat the ghee in a pan on medium heat. 3) Once melted and hot add grated carrots and saute. 4) Cook for 2-3 minutes, stir in between. You will get nice aroma of carrots. 5) Add milk and stir. 6) Bring it to a boil and let it simmer. 7) As it is simmering milk starts to evaporate. Don’t forget to scrape down the sides and also run the spatula to the bottom of the pan as well to make sure that it is not sticking. 8) All the milk is evaporated and it becomes almost dry. It took me about 20 minutes. 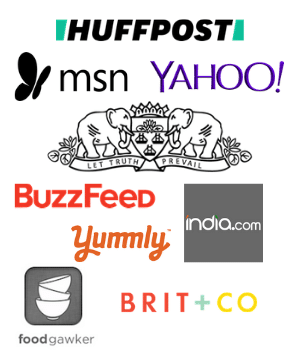 If making larger quantity then this might take more time. 9) Now add sugar and mix. 10) As sugar melts, halwa will become runny again. 11) Mix in cardamom powder. 12) Let it boil till all the liquid dries out. Continue stirring as needed. It took me 15 minutes. Now turn off the stove. 13) Lastly add chopped almonds, cashews and raisins. 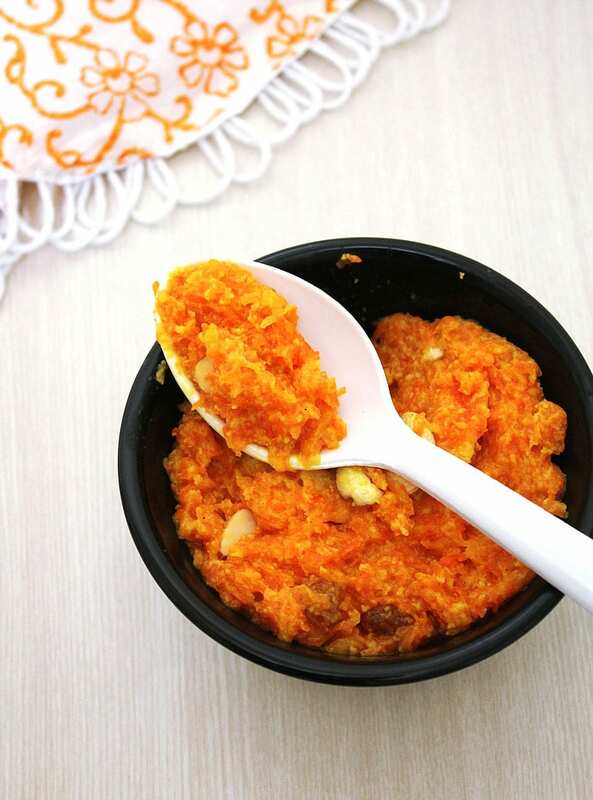 This carrot halwa can be served warmed of chilled. You can store it in the refrigerator for 1 week or in freezer for 1 month. Serving suggestions: Serve this halwa as a dessert after/with your meal. For fancy serving for your guests, serve warm halwa with scoop of vanilla ice cream on top. It tastes too yummm. this traditional method of making gajar halwa with khoya is sure time consuming, but tastes so yummy and rich. A must try for winter season. Once hot add grated carrot and saute for 2-3 minutes or till the carrot starts to soften. Now add milk and let it come to a boil. Simmer on low-medium heat till all the milk evaporates. Do stir in between so milk does not stick to the bottom and sides of the pan. Now add khoya, mix and let it melt completely. Then add sugar, cardamom powder and continue cooking till all the liquid dries out and becomes thick halwa consistency again. This time you need to stir it more frequently. Lastly mix in chopped almond, cashews and raisins. Halwa is ready to serve. Thanks a lot for d yummy recipe…it was awesome..